Executives are not dime-a-dozen employees. No matter what industry you’re in, it can be difficult to find the perfect fit for management positions, which is why many businesses are turning to executive search firms in Milwaukee for help. If you haven’t considered how one of these companies can help your business, take a few minutes and learn how they can enhance your search and increase your base of available, qualified candidates. One of the most challenging parts of posting for a job is knowing how to find the right type of candidates. If you’re only hiring an executive once in a while, posting the opening on the right job sites can be a challenge. Post the job on the wrong type of employment board and your company could be inundated with applications from candidates who aren’t at all qualified. Because executive search firms in Milwaukee constantly receive resumes, they often have a network of existing candidates. This often means they may be able to start the initial interview process more quickly than an HR department that needs to weed through resumes before they can even get to the cream of the crop. Using executive search firms in Milwaukee doesn’t mean that businesses aren’t able to make the final hiring decision. Instead, it just means that businesses only focus their candidate search on the most qualified candidates. Sometimes an applicant seems fantastic on paper, yet is a disaster in a phone interview. Executive search firms in Milwaukee will take care of this initial interview process before they ever connect an applicant with their client, which means that businesses get to choose the absolute best of the best. In many companies, the human resources department handles a number of different tasks and doesn’t simply focus on hiring or firing employees. There are employee benefits to wade through, employee questions to answer regarding sick days and vacation time and insurance paperwork that may need attention. All of these tasks can equal a full day of work, which can mean that hiring decisions get put off. However, if you need to hire an executive, you probably don’t have a lot of time to waste. When you use executive search firms in Milwaukee to handle the initial paperwork and screening process, you’ll save your HR employees a lot of man-hours, saving your company money in the long run. These are just a few of the many ways that executive search firms in Milwaukee can help make the executive hiring process easier. 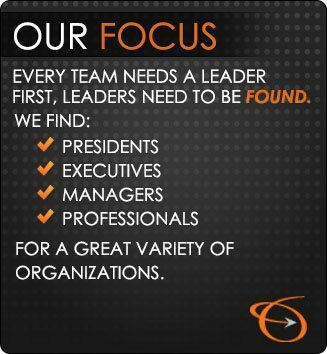 If you’re interested in learning more about how the Lawler Group can fast track your executive search, please call them at 262-241-1600 or contact us today.